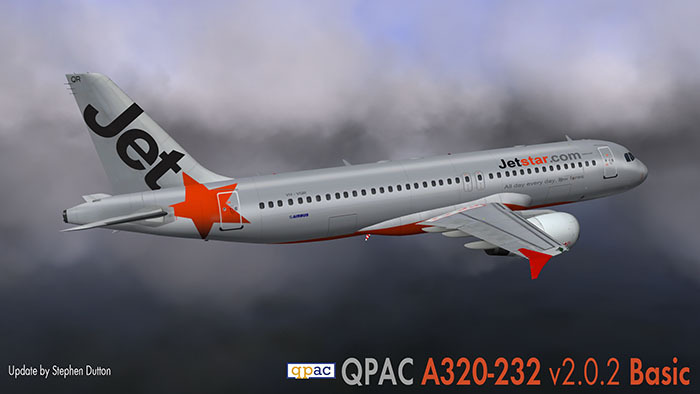 QPAC (QualityPark AviationCenter) have updated their Airbus A320-232 v2 to final in the basic package. 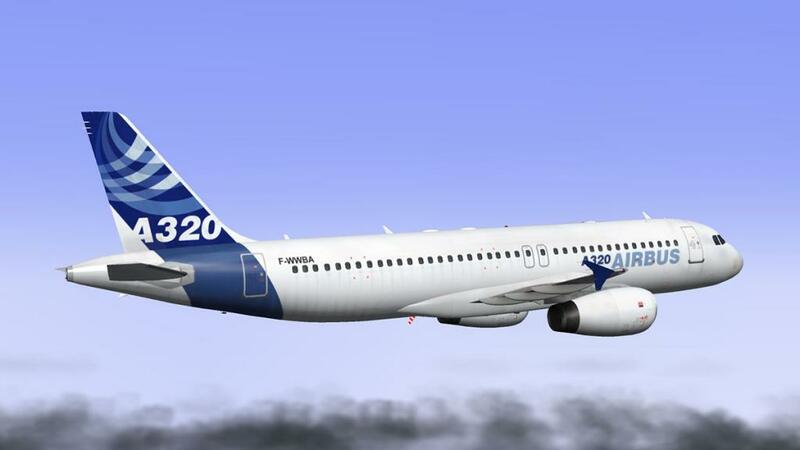 Here is the current roll-out plan from QPAC of their A320-232. This update date now completes the "Basic" package. So what is in the basic v2 package. 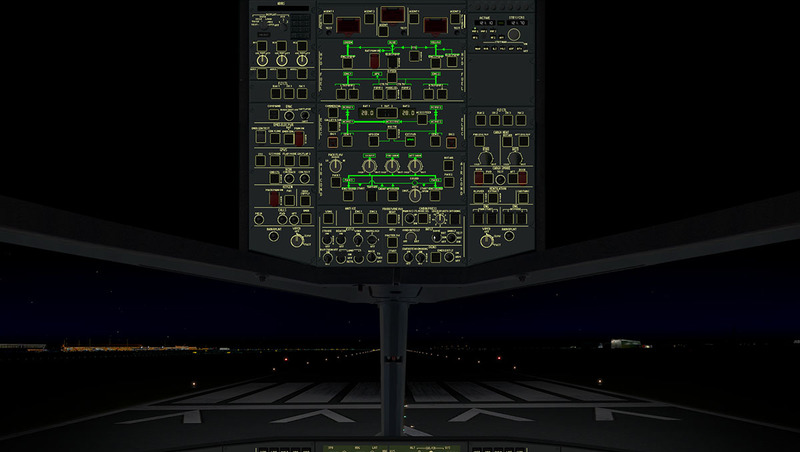 Complete electrical system model, including all bus reconfigurations upon failure. Most features are based on the Airbus flight laws and A320-232 systems, and they are quite comprehensive now even in this basic package. 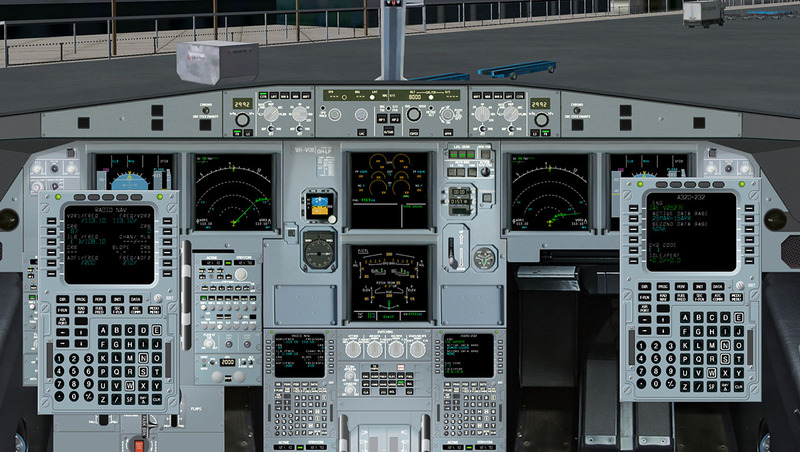 Outwardly the 2d panel looks the same (a 3d cockpit is coming later later and you can pay a fee to upgrade from the Basic or Plus packages). 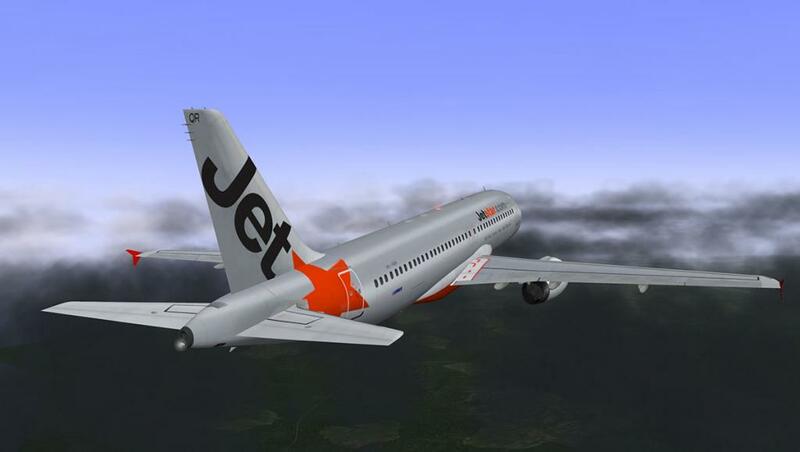 But the features are coming in here now to separate the payware version from the freeware aircraft. Now you have two rear pop-up pedestal units on each side. 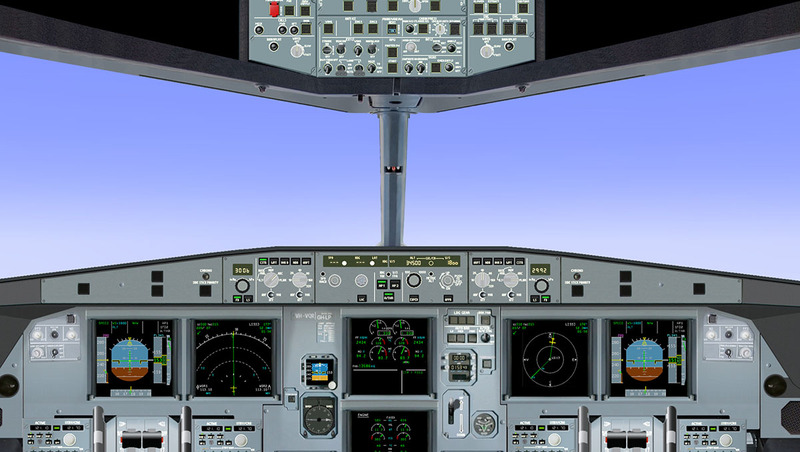 It is time to note that now you are to think in left seat and right seat settings and operations as the aircraft is now not just set right across both operations (or all together), but the operations have been divided up to be flown from the left or right seat independently of each other. 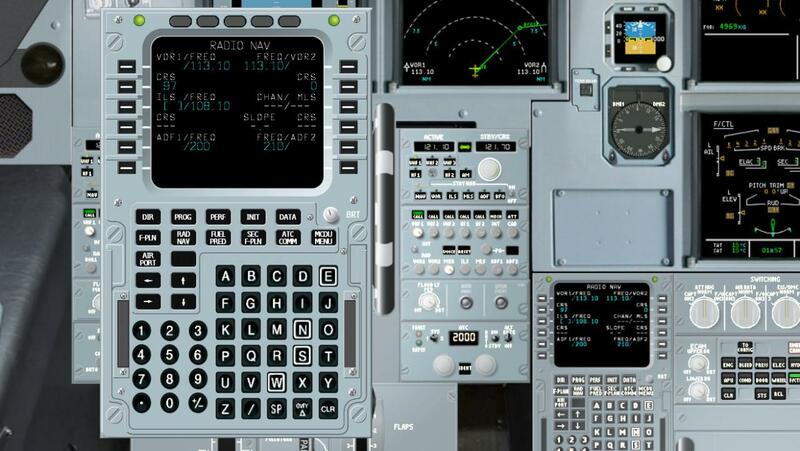 This is more important with the FMC (Flight Mangangement Computer) or MCDU (Mulifunction Control Display Unit) in Airbus speak. You now have two independent MCDU's that are accessible from the left or right seat positions, both can be popped out for programming and if you have the AirFMC plugin (iTunes - $13.99) you can use the pop-ups on your iPad. You can however load a standard X-Plane .fms flight-plan and the aircraft will convert your basic X-Plane flight-plan into a full realistic FMS data style flightplan, and you can now add in SID/STAR's that are based on the fms file based SID/STAR support system and the Navigraph database (coming in the Plus and Premium versions). 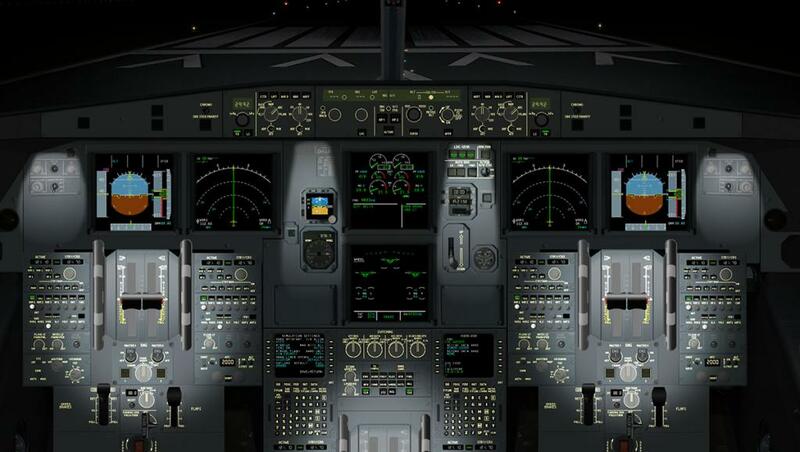 There is a full description in the Manual on how to create the SID/STAR's you require to create a X-Plane fms based SID/STAR files. There are also 36 flightplans already completed ready in the system to show you what they do and how they perform. This creates an interesting flightplan programming procedure. It is quick but very functional as you can still add in your waypoint OVFY (overfly - flyby) and FAF (Final Approach Fix) and IAF (Initial Approach Fix) fixes. 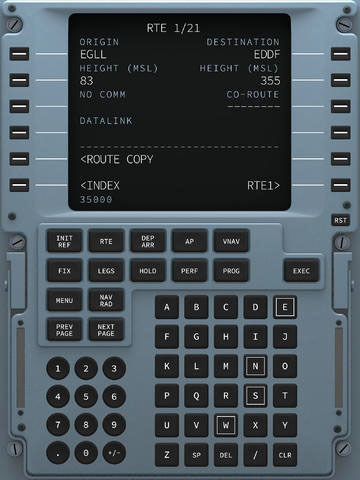 Notice how the flightplan will adjust to your route on hard 90º turns in creating the correct adjusted flightpath. So you can programme the whole flightplan very quickly and still have it look very authentic. 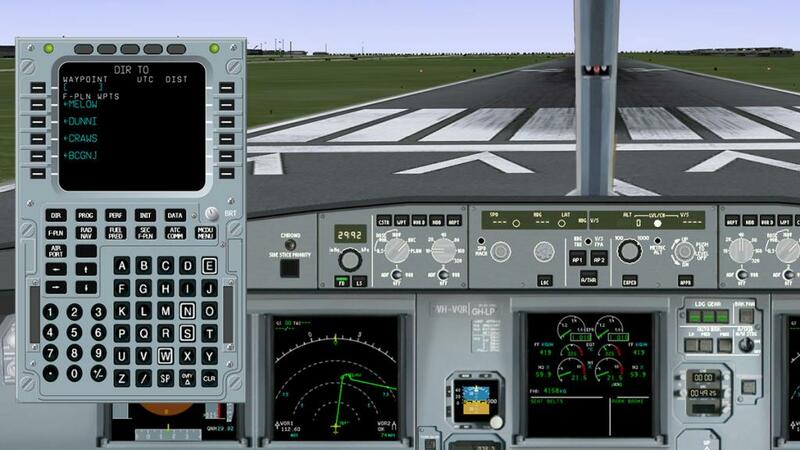 In this version you can now do autotuning of the ILS for departure and arrival (when you choose the runway). The "Direct To" function is very good. 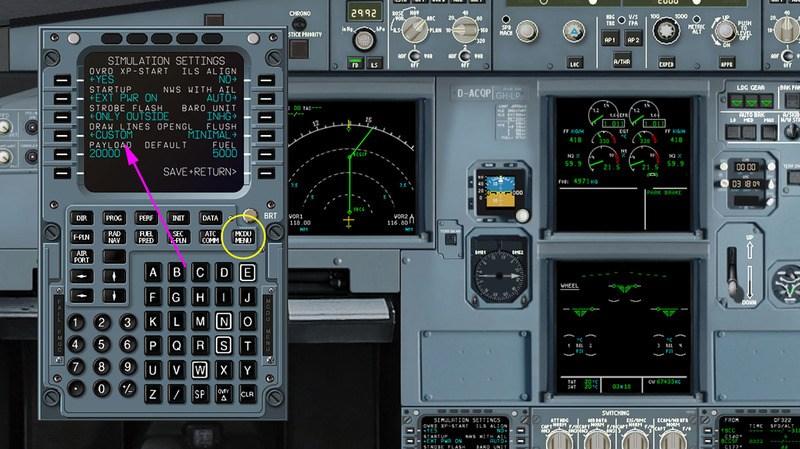 Want to change your flightplan or like I did takeoff in the opposite direction with a wind change and the "Direct To" function will then easily put you were you want to go. Vref's are excellent as well but you do have to get your homework right in your FLEX temps as it affects the aircraft's performance in noticeable ways. 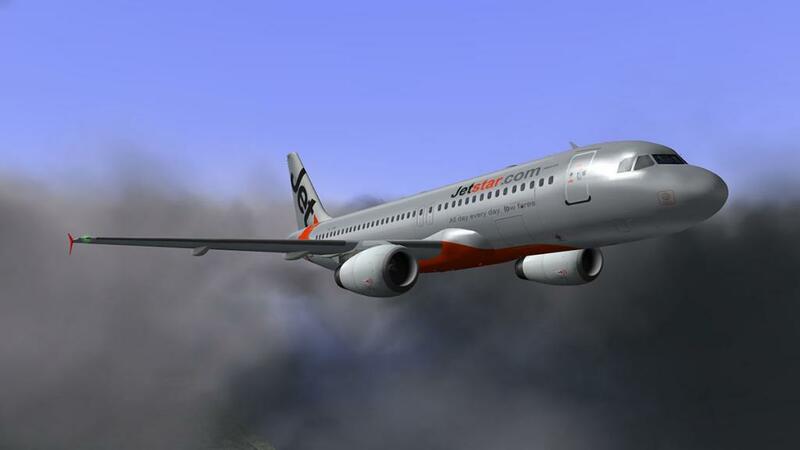 This an important point with the A320-232 from QPAC. 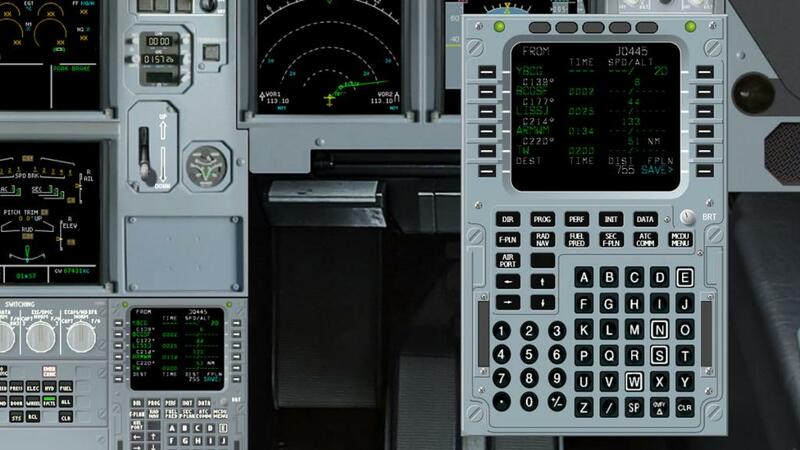 The systems are very finely calculated and you have to have all your calculations in good order to get the very best out of the aircraft right through the flying profile,. get it wrong and it shows on the performance. All settings like default weight and fuel are now fully customizable. 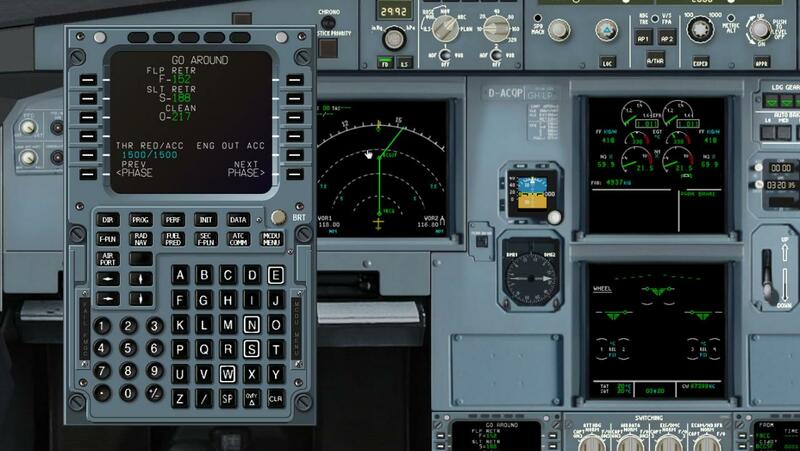 "Cruise","Go Around" and "Approach" references are also available. Under the MCDU-MENU button there is a settings page. 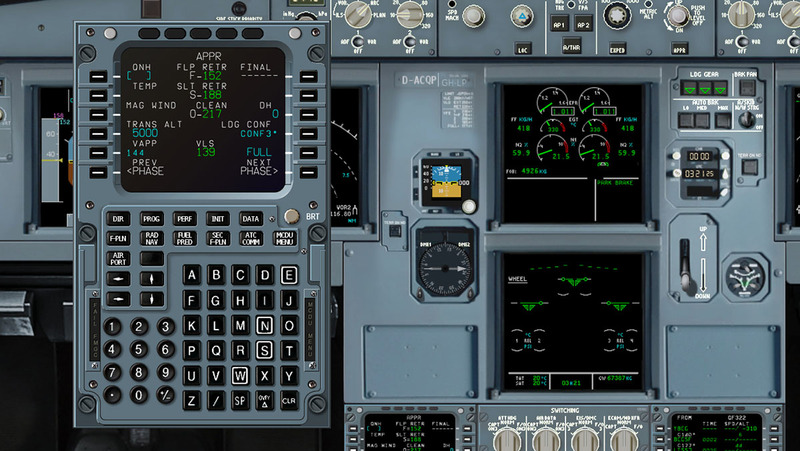 You can adjust many settings here including the way you want to start up the A320 in X-Plane. Full "Cold" where you just want to start with a blank cockpit, With the ADRIU (and or IRS align) and finally with the EXT power supply attached or full "hot" start. Strobe flash in cabin or just outside in HDR mode - Draw lines in OPEN GL, this setting is a must turned on. It makes the displays far brighter and the aircraft much more sharper in the textures, it is very noticeable in all the images here. - Baro type - flush textures and finally default fuel and payload. 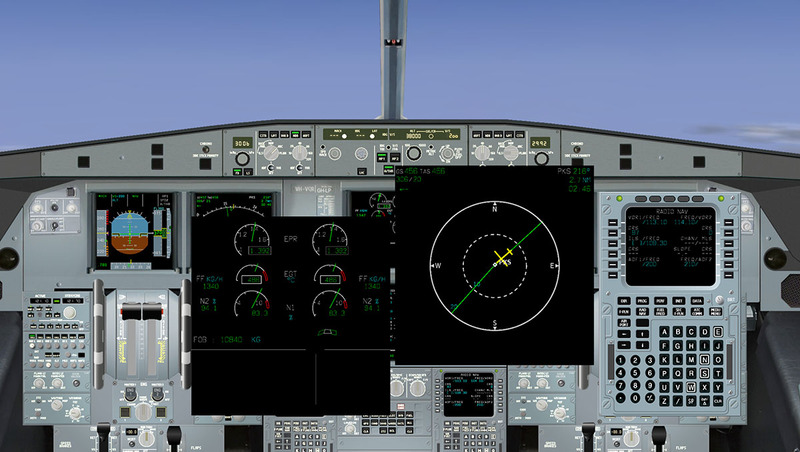 The MCDU can also display the IRS positioning of of the aircraft in the three different modes available. The panel looks really great at night as it has had a refinement of the lighting. The outside lighting has had some refinement as well, and is very good under HDR conditions. 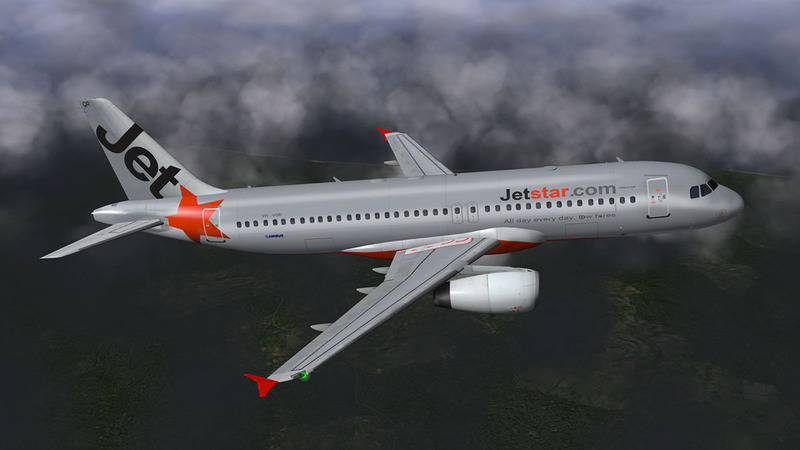 I flew the QPAC A320-232 on my usual YBCG to YMML route that I have flown the various versions of QPAC A320's over the years. 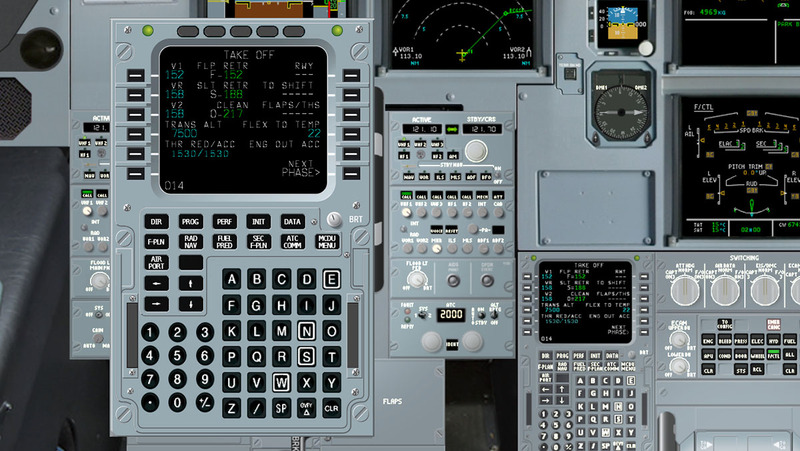 First thing to note is that the aircraft has a custom plugin to control a lot of what X-Plane does by default. This can interfere sometimes with the standard X-Plane practices. One area is the nosewheel steering. 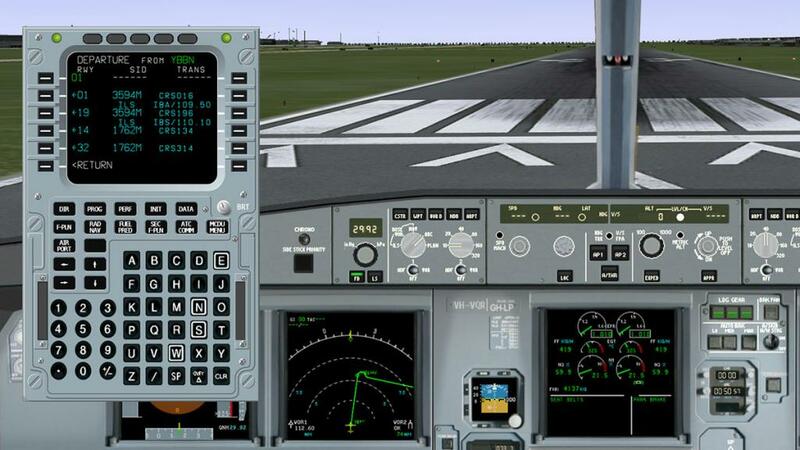 I use a Saitek x52pro joystick and throttle arrangement and in the yaw you will find that the nosewheel and rudder don't see eye to eye. 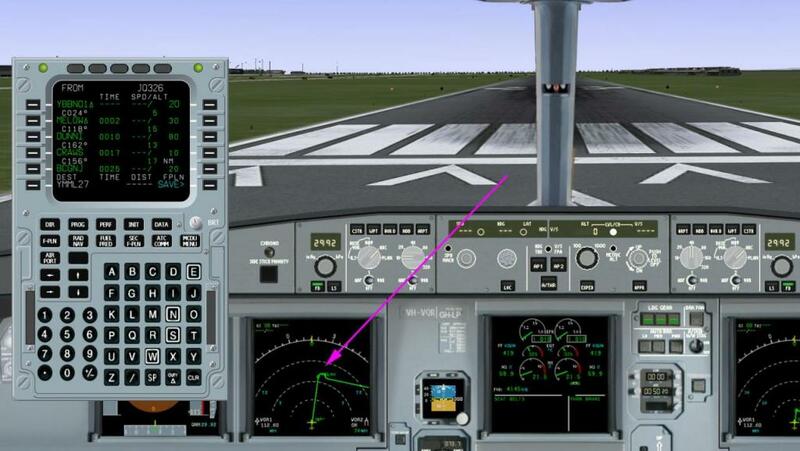 The only way to fix this is to use the "nosewheel steering" option in the X-Plane settings menu to assign the nosewheel steering to a turning knob on my throttle control. The nosewheel turns very slowly with a slight delay as well which can take a little getting used to. 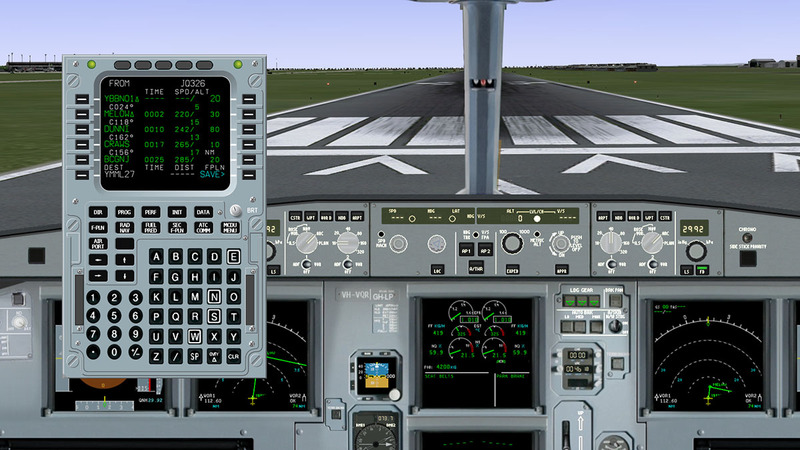 But fly the aircraft and you can see the significant differences now over the original (freeware?) 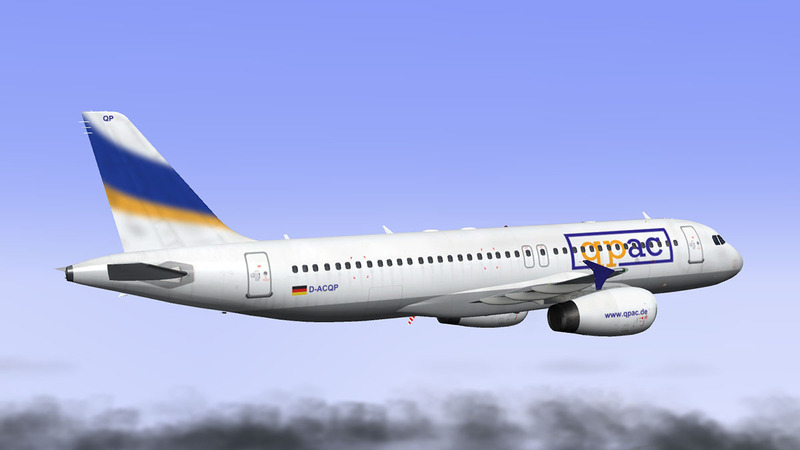 A320-232. It is a complex machine, but now very capable. 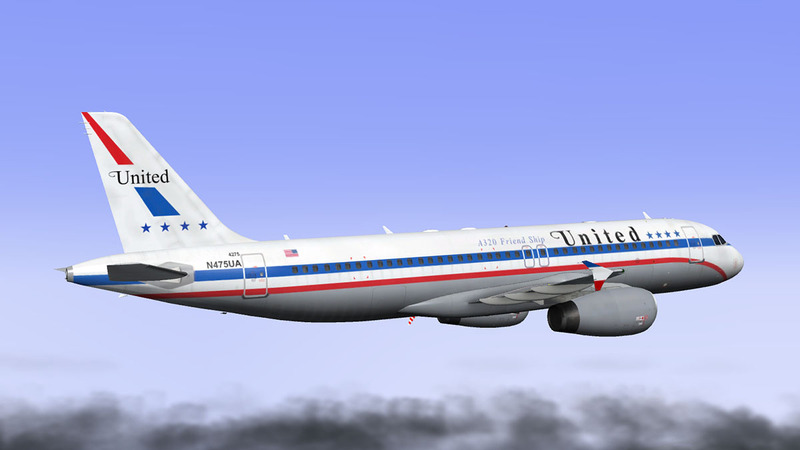 At first glance they did look very much the same, but there has been a lot of touch ups and finer detailing done and the "Open GL" setting makes the liveries look far more sharper than the original, the frame-rate usage has been significantly reduced as well, so the aircraft is more efficient in the simulator. 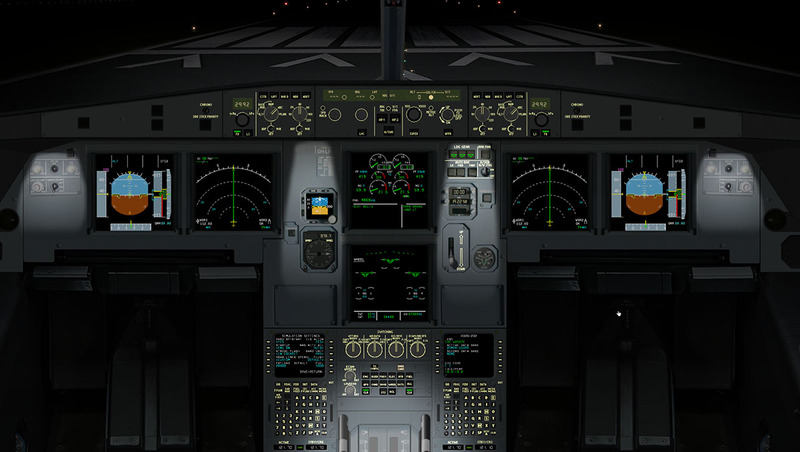 There are still a few bland areas like around the front windows, but overall you really notice the differences and the aircraft feels very good if you have done your homework in the flight profile programming. 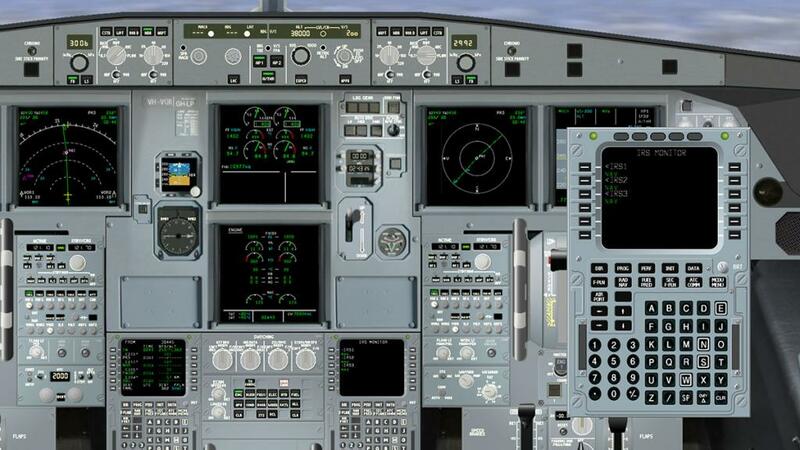 As a 2d panel it is now very effective, but you can see the benefits the 3d VC cockpit will bring when connected to all these systems and that powerful MCDU. The ability to set up the flexible panel to the left and right positions is simply very good and I really like the radar swish that scans the weather on the displays. 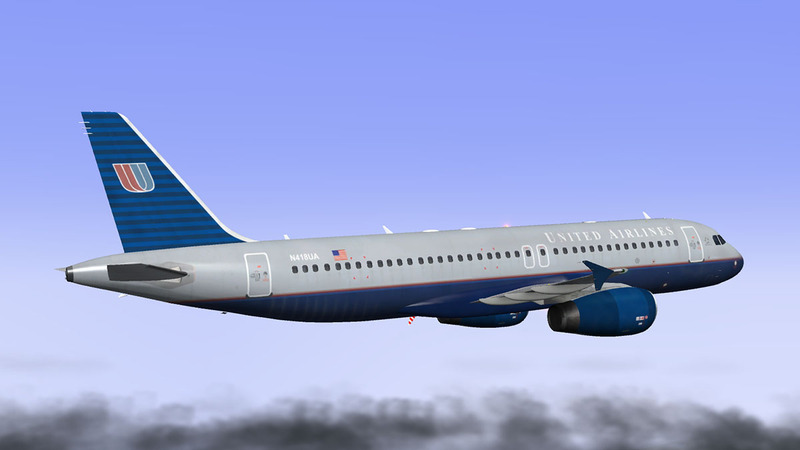 Sounds have been updated as well with flyboy2006's custom A320 sounds which are again better than the original versions. 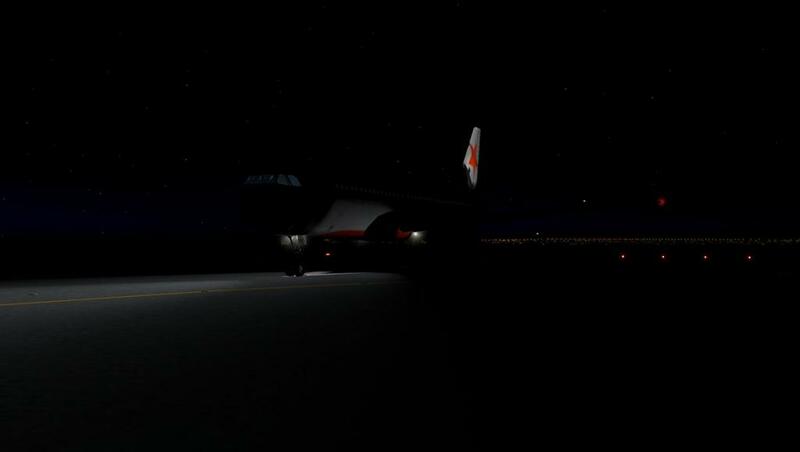 The turnaround at MEL was quick as I was able to reprogramme the MCDU very quickly for the return service to OOL Gold Coast, (You only have 25min to do so). 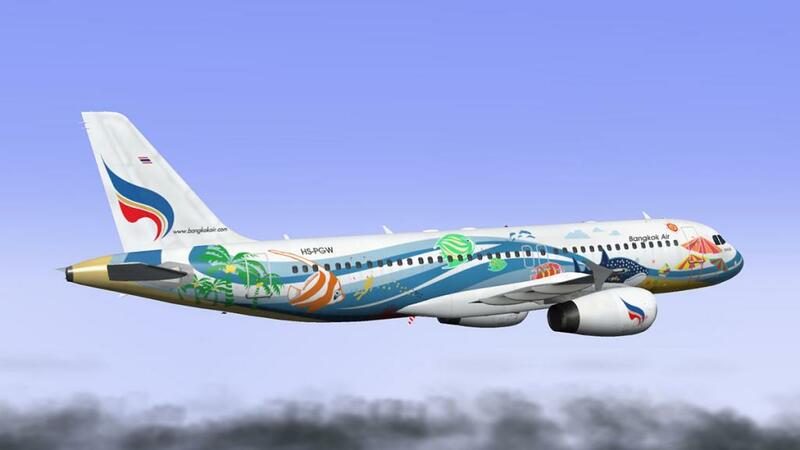 So overall I found the aircraft very good now and certainly the QPAC team are delivering on what they have promised. And the gap between the original (freeware) version and the basic version is now significant. 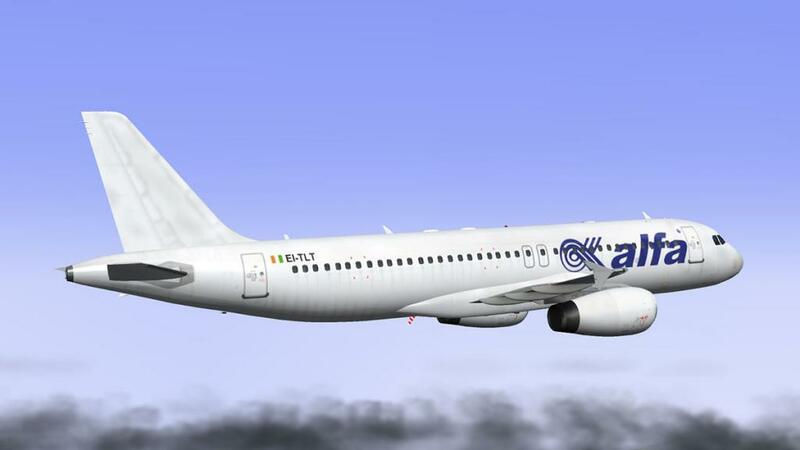 And a final note in that the QPAC A320-323 has been selected for show at the The ILA Berlin Air Show on May 20–25, 2014 which is the marketplace and meeting place for the global aerospace industry, suppliers, service providers and international customers. 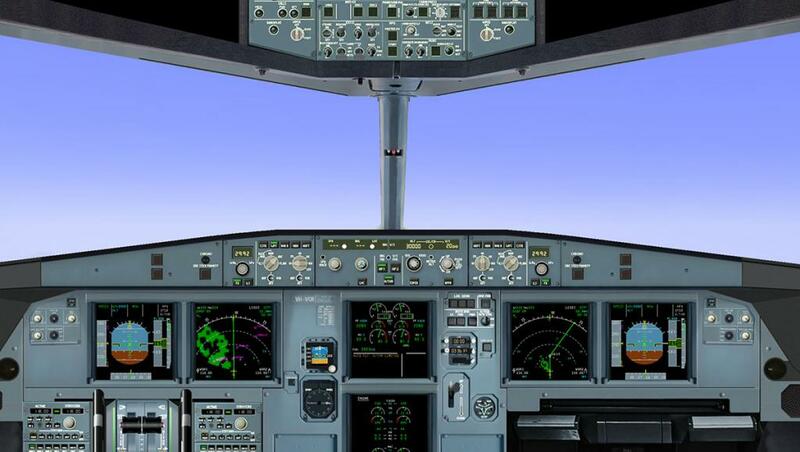 The QPAC A320 Simulator is on show at the ILA 2014 in Hall 3 at the QPAC/BBAA stand 3430A. 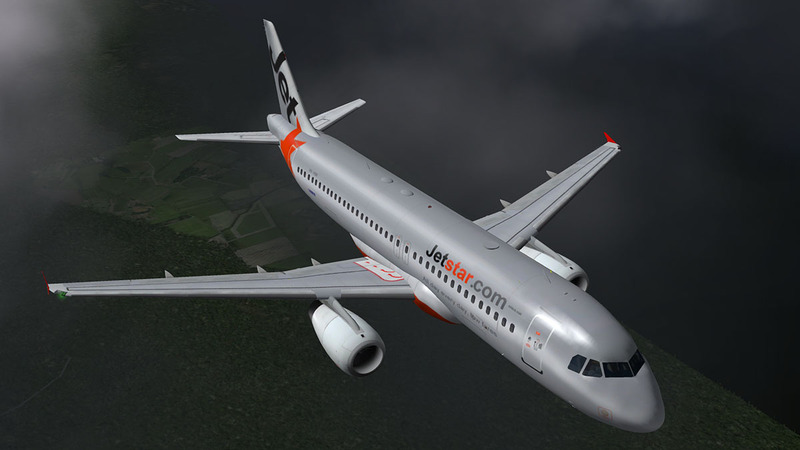 The QPAC A320-232 is available for both X-Plane10 and X-Plane9 platforms. 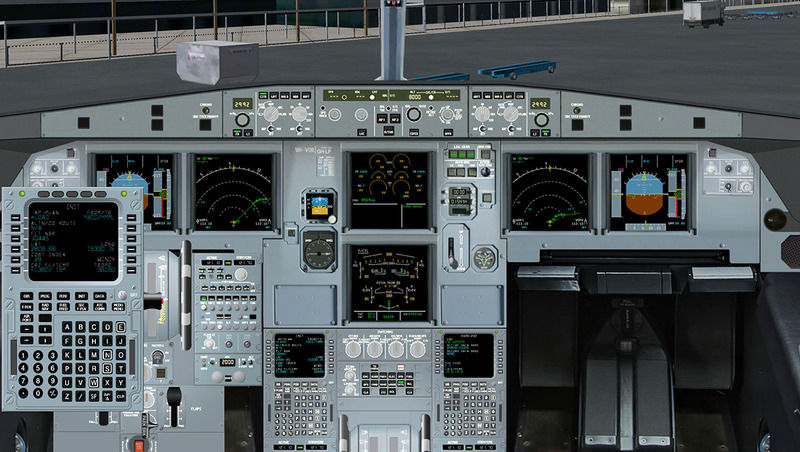 Installation and Documents : Download is 258.30mb, expanded to 160.20mb with the Xplane10 version installed (you can select which platform version in XP10 or XP9 that you require) to drop into your Heavy Aircraft folder. - More customizable settings like default weight and fuel.